Pooja’s skin looks intensely hydrated and dewy. To get your skin to look like hers, we suggest you first prep your skin with the Citra Pearl Fair Face Cream, which works wonders as a lightweight moisturiser. Rich in lightening minerals and nutrients from Korean Akoya Pink Pearl, this product works towards helping your skin look radiant—just what you need for this look! Once you’re done moisturising your skin, use a primer to cover your pores. Next, go with the Lakmé Absolute Argan oil Serum Foundation that will give you the hydration of argan oil and the coverage of a foundation. Moreover, its silky texture ensures that it glides on smooth on your skin. Next, set your foundation with a compact that works for your skin tone. Love how Pooja has tight-lined her eyes! 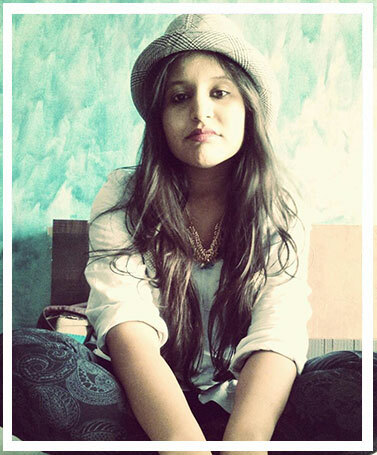 There’s dollops of kohl and equal amounts of mascara on her eyes. To get her dramatic eyes, add the Lakmé Absolute Kohl Ultimate Kajal on your waterline and then apply it carefully on your top waterline to tight-line. Not only will this make your eyes look bigger but it will also ensure that your eye makeup stands out. Finally, curl your lashes using the Lakmé Eyeconic Curling Mascara. Love Pooja’s sun-kissed glow? Get your hands on the Lakmé Absolute Moonlit Highlighter and use the bronzer side of the palette to contour your face and then apply the highlighter side of it to give your skin an instant glow. To contour, apply the product on your cheekbones and jawline. To highlight, apply it to the bridge of your nose, sides of your cheekbones and your chin. 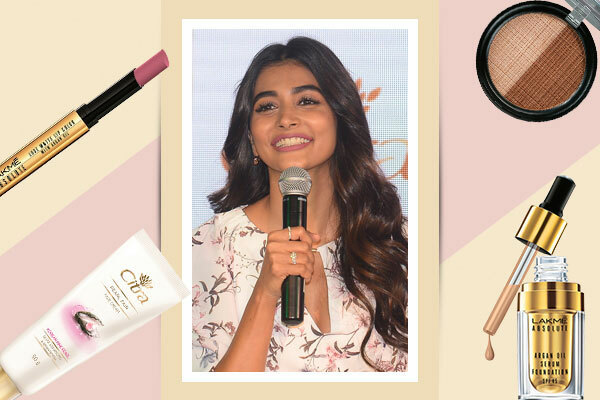 If you love Pooja’s mauve-ish pink pout, know that you can get it too using the Lakmé Absolute Luxe Matte Lip Color with Argan Oil in Rosy Lips. Not only will this hydrate your lips but it will also add an intense colour to your puckers.